Free Legal Awareness Camp is an initiative of Studio Nilima to facilitate and increase access of the poor and marginalised groups of people to justice and to create legal awareness among them. 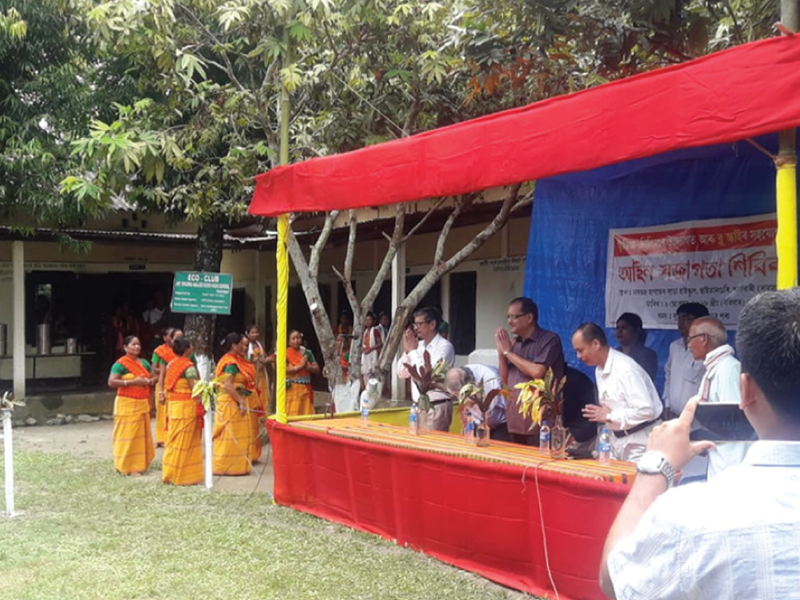 As a part of this initiative a legal awareness camp was held in September 9, 2018 in Chatainguri, Salbari of Baksa District, Assam. The camp was conducted by Justice(R) Brojendra Prasad Katakey, Former Judge, Gauhati High Court; Chairman, State Police Accountability Commission and Director, Pratidhwani, a unit of Studio Nilima in the presence of Justice(R) Biplab Kumar Sharma, Former Judge, Gauhati High Court; Sri Nilay Dutta, Senior Advocate, Gauhati High Court, and R.C. Borpatragohain, Advocate General, Assam. It was attended by a large number of rural households and there was active participation from the locals.